An El Cajon man was left without a home after a fire ripped through his property. 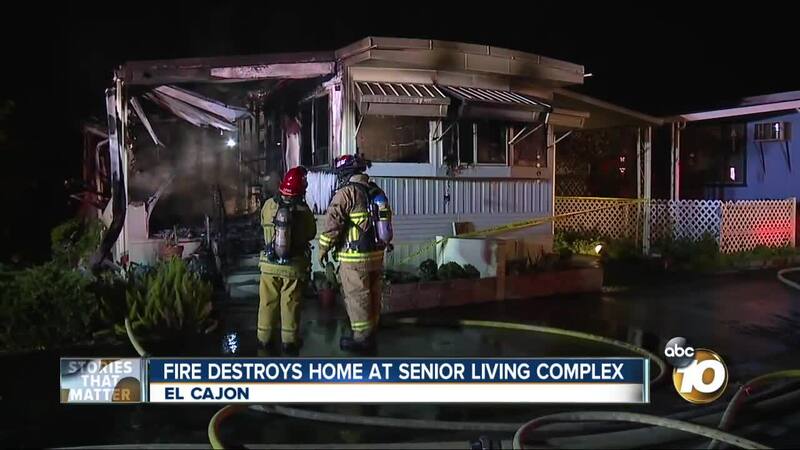 El Cajon, Calif. (KGTV) -- An El Cajon man was left without a home after a fire ripped through his property at the Royal View Gardens Mobile Estates. Several fire departments responded to the call just before 6:30 p.m. Saturday evening. The homeowner was at a neighbor's house when it started. Firefighters say the property is a total loss and the damages add up to at least $100,000. Two cats did not survive the fire and a third cat is still missing.